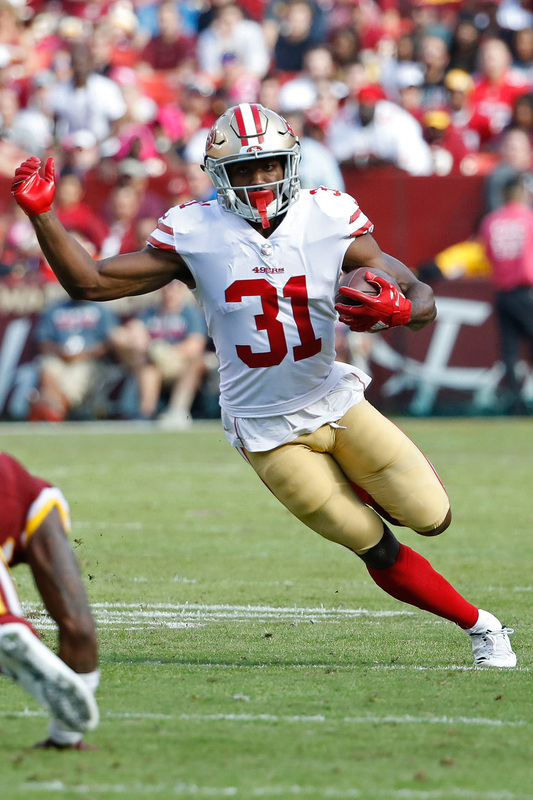 The 49ers and running back Raheem Mostert have agreed to a new three-year deal, as Mostert’s agent Brent Tessler tweets. San Francisco earlier this week tendered Mostert as a restricted free agent, assigning him an original round tender that would have only given the club the right of first refusal if Mostert landed an offer sheet from another club. That tender — worth $2.025MM — wouldn’t have come with any guaranteed money. As of yet, it’s unclear if Mostert’s extension replaces his tender and locks him in through 2021, or is in addition to his tender and thus will keep him in the Bay Area through 2022. The 49ers, of course, made a push for Le’Veon Bell earlier this week before signing former Falcons running back Tevin Coleman, crowding a running back depth chart that already had a few options. Jerick McKinnon, who signed a hefty free agent deal with San Francisco last offseason, is still on the roster, as is Matt Breida, who excelled after McKinnon went down with a torn ACL prior to the regular season. As Matt Maiocco of NBC Sports Bay Area tweets, Mostert will be active on gamedays due to his special teams contributions. 49ers head coach Kyle Shanahan recently said he’s never activated four running backs for a contest, meaning one of Coleman, McKinnon, or Breida either won’t be active, or won’t be on the 49ers roster (unless Shanahan changes his plans, that is). Mostert, 26, spent time with six other NFL franchises before landing in San Francisco in 2016. In 2018, he posted 34 carries for 261 yards and one touchdown, and also played 60% of the 49ers’ special teams snaps. For the most part, these were no-brainer calls for SF. Mostert, Lee, and Mabin will all return on cheap one-year deals that require little in the way of actual commitments. Juszczyk, signed to a four-year, $21MM deal in 2017, is regarded as one of the very best fullbacks in the NFL and graded out as the second-best in the league last year, per Pro Football Focus. who rejoiced when he was cut by the Pats and claimed by the Niners in 2017, tallied a career-high 5.5 sacks in 2018. Two 49ers players saw their seasons officially end today when the team placed them on injured reserve. The team sent running back Raheem Mostert to IR with a fractured right forearm, while cornerback Emmanuel Moseley dislocated his shoulder, according to Matt Maiocco of NBC Sports. Both players suffered their injuries during the team’s 34-3 win over the Raiders last night. Mostert’s injury looked gruesome on the TV broadcast, and it was confirmed today that he was undergoing surgery and expected to make a full return in time for the 2019 season. Moseley was making his NFL debut in the game when he was called up from the practice squad and was never going to play many meaningful snaps, but the loss of Mostert is significant. San Francisco’s backfield has suffered a lot of injuries this year, and Mostert’s role had been increasing in recent weeks. The fourth-year back from Purdue was getting the first real opportunity of his career, and had looked electric so far. This season he’d carried the ball 34 times for 261 yards, good for 7.7 yards per carry. Mostert, who’s also a key special teams player for the 49ers, had just scored his first career touchdown on a 52-yard run before getting hurt. Maiocco notes the 49ers “have two running backs on their practice squad, Jeff Wilson and Matthew Dayes” who are both candidates to be called up to the 53-man roster. Starter Jerick McKinnon tore his ACL before the season started, and Matt Breida has been banged up all year long with various injuries. 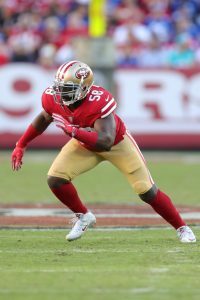 The 49ers announced that they will not pick up defensive end/linebacker Elvis Dumervil’s contract option for 2018. Meanwhile, they are exercising the option of linebacker Dekoda Watson and have tendered a one-year contract to exclusive rights free agent running back Raheem Mostert. The Niners have a good amount of cap space, but Dumervil’s $4.25MM cap hit (and $500K option bonus) was still too high for the Niners’ liking. Dumervil led the Niners’ D with 6.5 sacks in 2017, but the team is intent on moving forward with younger options including Eli Harold, Cassius Marsh, and Pita Taumoepenu. No other SF player had more than three sacks last year. Dumervil is on the backend of his career at the age of 34, but he still has plenty to offer teams. He offers a wealth of experience as an edge rusher, not to mention 105.5 career sacks across eleven seasons with the Broncos, Ravens, and Niners. Watson appeared in 14 games for the 49ers last season, primarily as a special teamer. He’s now slated to count against the cap for $1.633MM in 2018. Carson Palmer is getting towards the end of his career, but Cardinals coach Bruce Arians says that he might already have his quarterback of the future on the roster. “Short-term, I’d be very comfortable if [Blaine Gabbert] had to play for us. Long-term, if he continues at this rate, he could be a starter,” the coach said (Twitter link via Mike Jurecki of 98.7 FM). Arians isn’t the only coach that likes Gabbert – Seattle considered him this offseason and Miami pondered trading for him after Ryan Tannehill‘s injury. Still, it’s somewhat surprising to hear that Arians views him as a future starter since the former No. 10 overall pick hasn’t really experienced success at the NFL level. In five games as San Francisco’s starter last season, Gabbert posted a 1-4 record, while completing 56.9% of his passes for five touchdowns and six interceptions. It appears that J.D. McKissic is back to being a running back after spending some time at wide receiver, Bob Condotta of The Seattle Times notes. This could have implications on the Seahawks‘ 53-man roster, chiefly for 2016 fifth-round choice Alex Collins after he did not get a carry in the team’s most recent preseason game. 49ers running back Raheem Mostert is making a late run for a roster spot, Eric Branch of the San Francisco Chronicle writes. The well-traveled 25-year-old is having a strong preseason while veteran Tim Hightower has missed two of three games. In Hightower’s lone appearance, he lost a fumble and had three carries for minus-one yard. In Mostert’s last outing, he had 130 all purpose yards and flashed serious skills as a pass catcher. The Cardinals have interest in acquiring Panthers punter Andy Lee. The 49ers have now placed two centers on IR this season after moving Marcus Martin to the season-ending injured list. He joins Daniel Kilgore and several other San Francisco starters there. San Francisco filled Martin’s roster spot by promoting running back Raheem Mostert from its practice squad. 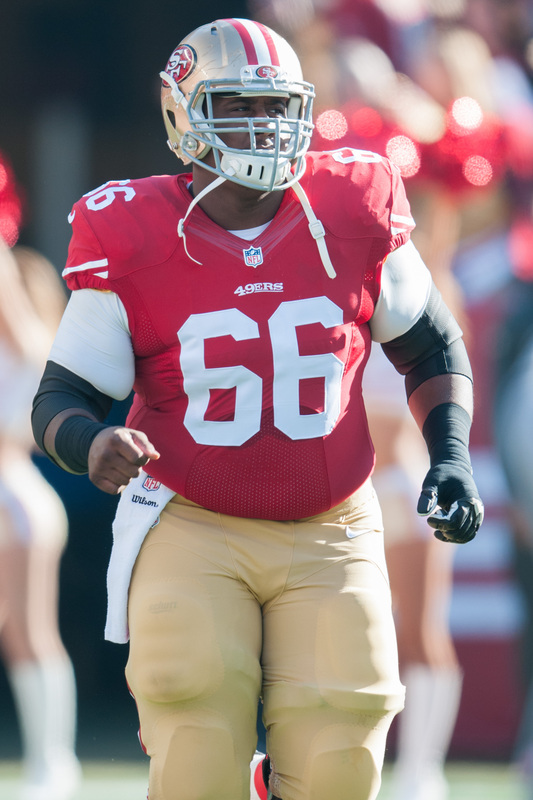 Martin became a key member of the 49ers’ front in both the 2014 and ’15 seasons after subbing in for Kilgore following the starter’s severe leg injury. The former third-round draft choice received more than a season’s worth of starts during Kilgore’s recovery, but after the first-stringer returned last December, Martin hasn’t factored in as much this season. However, Kilgore’s return trip to IR earlier this month opened the door for two more Martin starts. The 49ers previously ruled out Martin for their Week 17 game against the Seahawks with an ankle injury. The 2-13 team now has 19 players on its IR list, including Carlos Hyde, whose MCL injury forced the team to reshuffle its backfield. Mostert caught on with the 49ers’ practice squad in late November; the second-year UDFA played in two games earlier this season for the Bears.